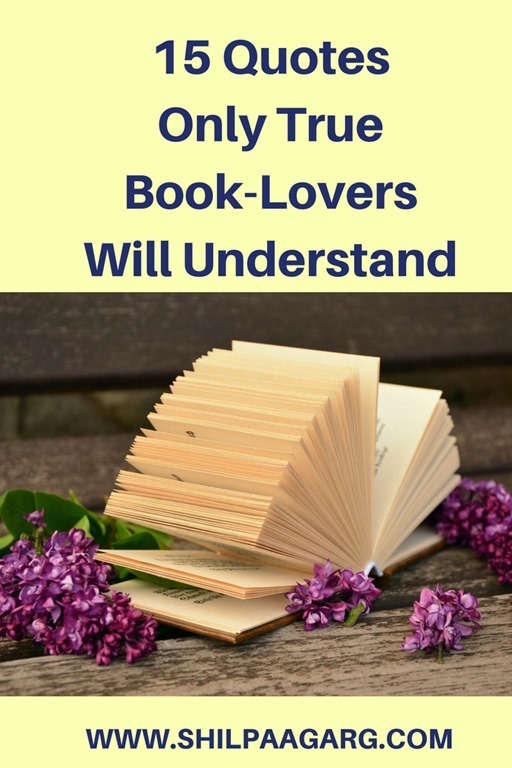 15 Quotes Only True Book-Lovers Will Understand - A Rose Is A Rose Is A Rose! And I absolutely vote for the last one!! Tell me, which is your favourite quote from these? Which quote resonates with you the most? Can’t agree more!!! A reader truly lives 1000 great lives before death. Well said. We live so many lives, undertake so many journeys, live so many experiences, through the characters and their stories! 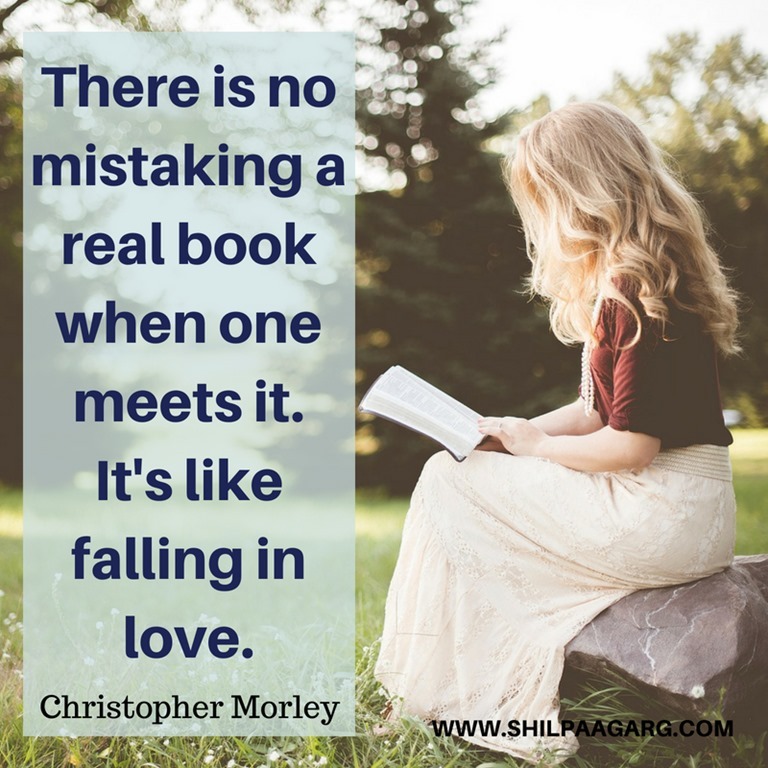 A half read book is like half finished love affair ! Loved them all. That one about feeling like you’ve lost a friend when you finish a book – that’s the one I identify with most. Sometimes I want the story to just go on. I can relate to that too. It’s like you dont want to part with the characters and their lives! Very nice quotes, loved each one. I am die hard George R.R Martin fan, fantasy land is something I can directly connect to. But the quote impressed me so much from this list is – “A half-read book is a half-finished love affair. — David Mitchell”. It’s like an itch, which keeps troubling you when you wander in your deep thoughts. Oh yes, RR Martin is such a prolific writer and his quotes are so profound. David’s quote is so true too. Nice compilation of quotes and each one so so so true. Books are a different world, more colorful than this one. Love the quotes and Happy Book Lovers Day Shilpa. I just realized that some 10 books waiting for my attention and just went to order some more. There is no life without books. Cool, so my love for reading is on cloud nine now. And trust me, as I read one by one, I could just think and say, yes, true. Awesome quotes. Now, dont get time. I cant even read while traveling. A good collection. Each of them… How true! Books allow us understand a subject in depth giving is an all round perspective. Marvellous collection of quotes. Despite the internet and Netflix, and all the other communications social and otherwise, books still hold a unique magic! Life of a reader is so much more! Incredible quotes! Loved every single quote. Last one is my favorite. That’s a great collection of quotes and mine definitely is J. K. Rowling’s quote. I can relate to almost everyone mentioned. 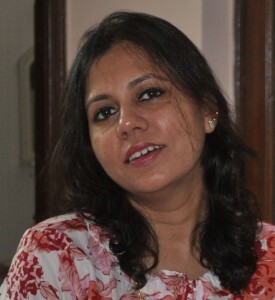 Happy book lovers day, Shilpa. These remind me, I need to take a walk downtown and sit in my fave natural foods cafe, with a small book I am halfway through reading. 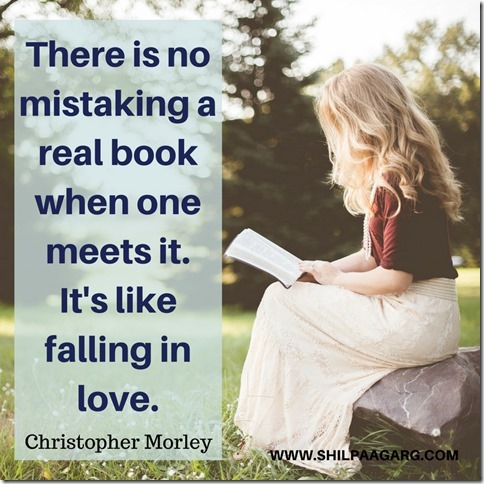 This is a precious lot of beautiful quotes, Shilpa, about book-love. I can so relate to them because all during my student life I was an avid reader. However, with time, keeping up with books became a challenge along side the mundane world of engineering & a then a full-time job. The best feeling about finishing a book is when you cannot retrace your life for at least half a week & being in one of the characters until then. I’m glad to be revisiting books that I yearned to read when I was busy & getting closer to them through amazing blogger friends like you. Wow, such beautiful quotes by you Shilpa. Taking up reading challenge helped me to keep the pace. Thanks for introducing us to many reading challenges. You curated some amazing quotes. Great job. If m asked to choose one of these mindblowing quotes ….